This is how should be if cutting in the office. Easy, clean, sharp, precise cutting. No mess on floor while and after cut. 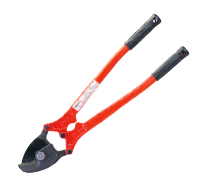 Cuts like Plastic Pipe Cutters and does not get any chips. Clean installation works makes your job even professional. 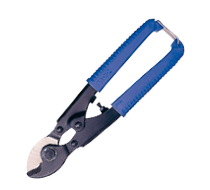 Provides extremely clean cut-end without making any burrs. No deburring and no grinding after cut is totally unnecessary. Makes your job faster. 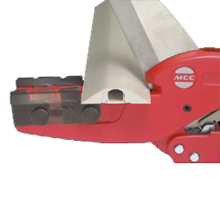 Slide guide can adjust the size and angle to be cut for wide variety of materials and different angles for connection. 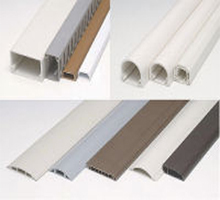 Plastic cable cover that often used for OA Equipment, cable installation for factory machines, and protection for live wires. 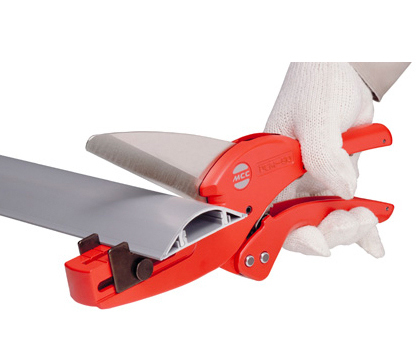 Sliding guide provides easy setting and keeping the materials in place while cutting. 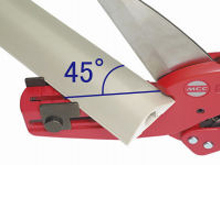 Sliding guide also can adjust the cutting angle. Quick open feature makes your job easier and faster for continuous cutting work. 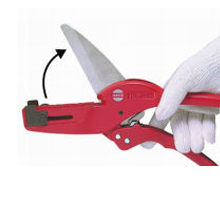 Because you need one hand for holding materials and one hand for opening the cutter.